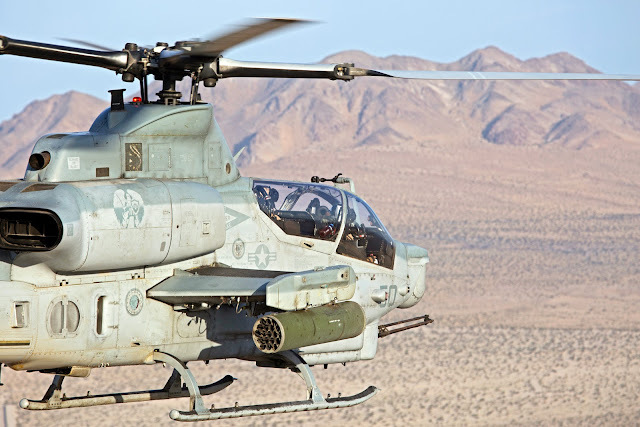 The US Marine Corps has ordered 25 additional Bell AH-1Z Viper attack helicopters for $439.5 million. The helicopters are part of production Lot 16, the Department of Defense said in a notice on 18 January. Naval Air Systems Command is contracting the aircraft on behalf of the USMC. Some 60% of the work on the attack helicopters will be performed in Fort Worth, Texas and the rest will be done in Amarillo, Texas. The lot is expected to be completed in January 2022. Something is wrong. Either the AH-1Z is crazy expensive or they're ordering something "extra" that somehow escaped the recent Army order. What am I talking about? The US Army just placed an order for 22 AH-64E's at almost half the price (gotta find the article that talked about the purchase). How can that be? I thought for sure the AH-1Z was 99% of what the AH-64E was, yet completely compatible for shipboard use ... in other words a bargain. But let's put a pin in that and hope the extras make this seem more reasonable and talk about the elephant in the room. How are they gonna climb out of it when we can't finish any buys? We have the looming F-35 purchase (unless this signals that it's gonna be cut), the CH-53K, the ACV...you know the cast of characters...as things stand the budget is gonna be trashed for the foreseeable future.